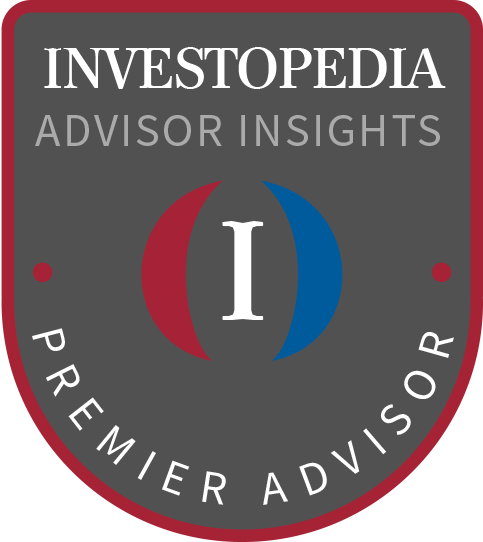 Michael J Eugenio, CFP® was quoted in this article published by Investopedia today, September 15, 2017. The article by Jim Probasco is directed at baby boomers hitting the retirement circuit without enough money saved. “The average household pays out $2,630 in credit card interest each year. The more you reduce this amount, the more you can put into your nest egg. If you wish to discuss your portfolio and/or any other money management matters, feel free to CONTACT US. We look forward to hearing from you! Other People’s Money (OPM) for Car a Purchase? You go to Bank “A” and they quote you a variable rate of 6%. You go to bank “B” and they quote you 1.9% fixed. Which bank will you choose to do business with? Bank “A” is your portfolio. You have accumulated enough cash to pay cash for the car. Let’s assume your portfolio has averaged about 6% over the last 10 years or so. Why take money out of an account that has averaged 6%? Of course, we have no way of knowing what the future holds in store for us. But history would seem to be on your side. Additionally, by taking money from your portfolio, may very well cause tax issues that are avoidable. Bank “B” is your favorite local bank. Let’s do some simple Math. Your portfolio historically has earned 6%, the cost of the loan is 1.9%. Take the 6% earnings, subtract the 1.9% loan cost and you are ahead of the game by 4.1% Had you removed the money from the portfolio the “Opportunity Cost” plus the loss of compound growth and added taxation can easily do significant harm to your financial future. Now, let’s change the scenario. You have savings at your favorite bank earning significantly less than 1% The loan is still 1.9%. If you have enough to cover 3-6 months of living expenses in reserve, then take the extra cash and pay cash for the car, or at least pay down the loan. Makes little sense to hold “lazy money” when the cost of borrowing exceeds the earnings on savings. All that sounds good Mike, but the dealer is telling me he can get me into a lease and it will cost much less than buying. Let’s take a closer look. Lease is just a fancy way of saying “renting” You have no ownership in the car. For example, that new car with all the frills will cost you $35,000. After 20% down you finance it for 60 months @ 1.9%. your monthly payment is $490 per month. At the end, you “own” the car. Let’s assume after depreciation the value of the car is $15,000. You can continue to drive it, or possibly sell it and use the $15,000 for a new vehicle. Either way you have an asset. The lease on the other hand is $350 per month for 36 months, and an extra 15% lease payment. At the end, you have paid $17,850, and you turn in the car. Hopefully you didn’t exceed the very limited mileage allowance and the car is in immaculate condition when you return it. Either one could wind up costing you many hundreds or even thousands of dollars extra. Now that you’ve turned in the car, what do you do? Do another lease or step up and buy another car? At the end of the original 5-year period, the person who purchased and paid a little extra every month has the better deal. The only people who come out ahead on a lease are the dealers. You paid them for half the value of the car, and they will resell for the remainder, plus a handsome profit. In whose best interest in the car dealer working in? It rarely every makes sense for an individual to lease a car, unless you think you need a new care every couple of years. There are better and smarter things to do with your money, other than buying cars every couple of years. https://www.eugeniofinancial.com/wp-content/uploads/2017/01/eugenio-logo5.png 0 0 Michael Eugenio CFP https://www.eugeniofinancial.com/wp-content/uploads/2017/01/eugenio-logo5.png Michael Eugenio CFP2017-07-31 01:26:312017-08-07 18:59:00Other People's Money (OPM) for Car a Purchase? One of the more critical aspects of Financial Planning and Portfolio Management, for both the client and the advisor, is to understand the client’s household Cash Flow. It is important to routinely track income and expenses to get a reliable base when doing Financial Planning, and especially important for Retirement Planning. Because this information can and does change, sometimes dramatically, it needs to be kept up to date so that Planning and Portfolio Management can be adjusted to meet the client’s needs. We recommend that clients use the miracle of technology and online banking to help them with the day-to-day tracking. Quicken has proven to be a popular as well as powerful tool for keeping the information current. Mint is another popular choice and it’s free, but in my opinion, not as robust. These and other products at first glance might seem complicated, but once set up, they are easy to use and definitely worth the initial effort. These programs will track income and expenses, and then produce reports that consolidate the information in an understandable format. Keeping track of Income & Expenses will tell us several things that help with Financial Planning and Portfolio Management. First of all, it helps us decide how much to maintain in emergency reserve accounts to cover the unexpected events of life: things like water heaters leaking and ruining the flooring, or a new roof, or a major car repair. Second, it helps us answer the question “Where does all the money go?” A lot of people have no clue how much they are spending or what they are spending it on. It really is beneficial to know, so that we can determine if these expenses will be on-going and will need to be taken into account for retirement planning. Third, it helps us to figure out how much can comfortably be directed to savings and investments every month while still working. This is crucial to building a healthy Portfolio that will help support the client’s lifestyle during retirement. Fourth, understanding current cash flow needs will indicate how much is going to be needed in retirement and determines how much should be in savings and investments to cover these needs. It also makes it easier to figure out when the client will be in a position to retire comfortably. Lastly, getting a good handle on cash flow is important to figure out if there is any discretionary cash available to take advantage of strategies to help lower taxes. Financial Planning, Retirement Planning and Portfolio Management all rely on a good understanding of the current financial situation. Planning for the future takes some work, but it will be worth it in the end to have a comfortable, stress-free lifestyle in retirement. Today the stock market had a crazy day with the S&P 500 dropping almost 2%. They blame Trump and the chaos surrounding his supposed cozy relationship with Russia. Let’s keep this in perspective. The S&P 500 is up over 7% from Jan 2017 through May of 2017. If today was the last day of the year, we’d count 7% up as a pretty good year. At Eugenio Financial, we build portfolios to get through tough times such as these. When managing money, we start with a Model portfolio that is back tested with over 20 years of Data. Back testing shows how well it would perform in good markets, as well as in bad markets. Most of our portfolios carry no more than 55% in the US Stock Market. The rest is spread out among other asset categories such as International Stocks, Bonds, Real Estate and Cash. This keeps the portfolio from working in lock step with the stock market. When markets are crazy like they are now, our Model portfolio will drop, but not nearly as hard. Recovery of the portfolio will typically come more quickly than the overall stock market. There is an adage of investing success, “It is not market timing, but time in the market”. The one lesson I have learned after many years of doing this, is that once we have a strategy, we must stay disciplined to that strategy. Tweak it, rebalance it from time to time, but stay focused. Eventually this bad market will pass; the stock market will recover and most likely will go on to new highs. It has always worked that way; I have no reason to believe it won’t happen again. Warren Buffet, who is one of the richest people in the world, made almost all of his money in the stock market. He was interviewed recently by one of the talking heads. Here’s a paraphrased version of that conversation. If Warren Buffet isn’t panicking, why should we? A big topic of conversation these days seems to revolve around the possibilities of Artificial Intelligence’ (AI)’ and Robotics. Autonomous cars are front and center, with several tech companies falling all over themselves to be the first to mass market driverless cars. Smart Phones are no longer the next big thing, but part of our everyday lives, even though we depend on our children and grandchildren to help us operate and maintain. In the investment world, the ‘fintechies’ (financial technologists) want us to believe that a ‘Robo Advisor’ can and will replace a Professional Financial Advisor. A robo-advisor is essentially programmed (passive) portfolio management based on generic goals and risk profiles. A true professional financial advisor can provide active and customized portfolio management, provide securities advice, as well as address such issues as estate and retirement planning, cash-flow management, social security analysis and more. Robo-advisors may serve a purpose for younger accumulators, tech-savvy Millennials and DIY investors, but not so for those who are thinking of, planning for, or in retirement. Joe & Mary (names have been changed to protect privacy) have been Financial Planning & Portfolio Management clients for over 20 years. About 10 years ago, Mary at age 70 was diagnosed with early stage Alzheimer’s disease. Joe age 71 was still working part time and hoped to do so for a few more years. We met to develop a plan that would solidify their cash flow so that Mary could receive the proper medical treatment she would need. This included making some tweaks to their modest portfolio. Joe was very concerned how to make the portfolio last longer than he and Mary. As time went on, Mary slowly lost her memory and cognitive abilities. Joe and I had many conversations, some about money, some about how things were going, and sometimes just to talk about other important stuff, like how his Oregon State Beavers were doing at the college world series. When Joe turned 75 he decided it was time to fully retire. Over the years, Joe and I had made plans to be ready when the inevitable came to pass. Mary was continuing to decline in health, but Joe wanted to keep her home as long as he would be able to take care of her. We made additional adjustments to his portfolio so that it would keep up with the added financial pressures. Market volatility is always a concern, especially to retirees, so our job was to constantly monitor the markets and adjust as dictated by training and experience, as well as my personal understanding of Joe and Mary’s position. As time went by, Joe and I discussed the importance of keeping his Estate Plan up to date. We also discussed that it would be a good idea to start including his daughter, Marcia, into the conversations so that she was aware of everything in the event she ever had to step in and help. Then, life went completely off the rails for Joe and Mary. Joe was diagnosed with terminal cancer and given 6 months to live. Marcia and Joe met with me to review the entire financial picture, as well as the Estate Plan that we had just updated. Sadly, it was agreed that Joe and Mary needed to go into Assisted Living. Mary now needed Memory Care and could no longer live with Joe. They needed to clean out their house of 40 years and sell it. Painful for everyone, but it had to be done. Joe, Marcia and I discussed how to make sure that Joe and Mary could handle the $10,000 per month for Assisted Living and Memory Care. We put a plan together that included filing a claim against Mary’s Long Term Care Policy, along with using the cash from the sale of the house, as well as some cash available from Joe’s life insurance policy. Financially it all came together very nicely, and Joe and Mary, while in the twilight of their years, can at least have the satisfaction of knowing that their financial life is in good order and that they will not be a financial burden to their children. How would Artificial Intelligence have helped Joe & Mary? Could they talk to the “App” to discuss how best to handle this critical situation? Would the App have provided moral support or guidance? My belief is that better outcomes happen when the Trained Professional can apply his energy and wisdom and let the computers take care of the data management. Better outcomes happen when the Artificial Intelligence acts in a supportive role to the human element, not the primary role. Would you hire a Robo Doctor or Dentist? Would you hire a Robo Lawyer? How about a Robo Landscaper? Then why hire a Robot to plan and manage your future? On a daily basis, the talking heads want us to believe they have all the answers to portfolio construction or portfolio management. Frankly, you should view these with a critical eye. It’s not that professional money managers don’t care about what the Dow Jones Industrial Average (DJI) does or doesn’t do. It is that a more relevant benchmark of the US Stock market is the Standard & Poor’s 500 (S&P 500). It has always amazed me that the DJI, with 30 stocks, gets more headline than the S&P 500 which represents the top 500 stocks in the US. Even more astounding is that the S&P 500 represents only 15% of the total US Stock Market, and the US Stock market represents less than 35% of all stocks traded around the world. Why is the S&P 500 used as the almighty benchmark for investments? Who says that’s the way it’s supposed be? Just to complete the misrepresentation that the talking heads babble on about, they completely ignore the Bond Market. They want us to believe that there are only two commodities of any note – Oil and Gold. What the talking heads seem to ignore most is the investment market that matters for constructing and managing a balanced portfolio for individuals, couples and families. A professional Money Manager will look past the Dow, as well as the S&P 500, and craft a risk-controlled strategy that takes into consideration the long-term horizon and does not tempt the “Fates of the Gods.” This is accomplished by balancing risk with reward. Returns cannot be controlled or predicted. However, risk can be controlled and measured. Constructing a well thought out portfolio is going to take into consideration several factors. First, what is the financial condition of the investor? Does the investor have an adequate emergency reserve fund to cover the ‘OS’ moments of life? Is there adequate insurance in place to take care of the inevitable catastrophic events of life? How much investing experience does the investor have? What is the employment picture? When will this money be needed and for what reason? Does the investor trust professionals to take care of his or her money? How does the investor react to the “News De Jour”? From here we break the mix down into several more refined investment objectives to diversify the investor within the category. The next step is to back test the mix. Historically we want to look back a minimum of 15 years, 20+ is optimal. Why go to this extent? The reason is we do not know what the future holds. So, by looking backwards over a long-period we can measure how a portfolio responds to good times and bad. Over a long period, we can get a good sense of the risk and return that our client might expect over the next 15-20 years. What we want to accomplish is to balance the risk we take with our money, with the returns we might expect. The goal is to have lower risk than the US Stock Market, but achieve similar returns over a long cycle of time. Once the investor can grasp that concept, then the talking heads are no longer relevant. Perhaps a helpful analogy might be a philharmonic orchestra. There are many different types of instruments. Separately they might sound ok, but combined with the direction from a maestro, they make fantastic music that will thrill your senses. Once we have selected the best mix, our next step is to keep it in balance. As investments change over time, we want to stay disciplined to our Target. This avoids the temptation of testing the “Fates of the Gods.” Nobody stays on top for ever, and past performance is no guarantee of future results. Staying true to the Target, we will periodically go in and rebalance the portfolio so that our objective stays consistent with the goal. Experience teaches us that once you have a well-crafted Target, and you keep it balanced, then the best friend an investor has is “Patience”. The emotions of Investors are very often the reason for sub-optimal returns. We tend to be our own worst enemies. 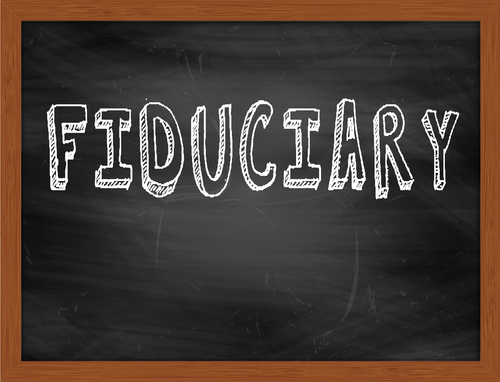 What is Fiduciary Standard for Investment Advice? You may have heard a great deal of discussion lately about something called the Fiduciary Standard and how it applies to investment advice. The Fiduciary Standard has been around for hundreds of years. (Yes! The Fiduciary Standard can trace its roots to 17th century England.) Very simply put, it means you place your trust and confidence in the hands of a professional to take care of your financial needs. The professional fiduciary is expected to perform and advise you based on your best interests, even if it comes into conflict with the advisor’s own interests. Not all investment advisors are held to this standard. Many brokers, registered representatives and insurance agents are held to a lesser standard referred to as suitability. They may offer you a product that may solve a problem. But did they keep your best interests at heart? Do they have a complete understanding of your financial situation? A Fiduciary will have complete knowledge of everything about your financial life before making any recommendations. A broker may offer you a Variable Annuity or an Indexed Annuity and tell you that it will resolve all of your investment needs. What he may have failed to tell you is that the Variable Annuity comes with limited investment options, very high fees, and commissions. Also, the Variable Annuity has steep penalties if you try to cash it out early. Usually you must keep these things between 8-10 years — some of them longer. He also may neglect to tell you that the sale of the Variable Annuity qualified him for an all-expense paid lavish trip. He knows that a couple of low-cost mutual funds would have done the same thing with much less cost, but his commission would have been lower, and he would miss out on that trip (that you indirectly paid for). In whose best interest did your broker work? Did he disclose to you the commission or the trip he would earn? The broker is not held responsible if the product he sells you didn’t work out. He will most likely fail to provide ongoing oversight or service. You can only hold him responsible if you can show that what he sold you was inappropriate (unsuitable). An example of an inappropriate sale would be to invest most of your portfolio into something with no liquidity and no exit strategy. …is going to take the time to learn what the issues are that need resolution, then he will place you into an investment portfolio that will best suit your needs. He will also resolve any conflict of interest by not taking any commissions or going on any company-paid trips. The conflict resolution is resolved through a fee arrangement between you and the advisor. It is further reconciled with disclosure of any potential conflicts of interest. This way you know that he is working in your best interest. A broker, non-fiduciary, while making sure the product is appropriate for you, very often takes the approach of a solution (product) looking for a problem. A Fiduciary will take the exact opposite approach by recognizing the problem first, then finding a solution. Once a Fiduciary builds a plan for you, he has a responsibility to execute and monitor that plan for as long as you remain his client. If something goes wrong, he will make every effort to fix it. A good advisor will have performed Due Diligence on any and all products he uses as investment tools. He also will perform Due Diligence on any outside advisors he might recommend. Further, a Fiduciary is not bound to any one company. Brokers very often can be limited to the products offered by one company. Brokers very often maintain relationships with investment company representatives that promise expensive meals or lavish outings to win the brokers business. This is very similar to a Washington Lobbyist who curries favor with your representatives in Congress. A Fiduciary will avoid all of that. You don’t feel well, so you go to your doctor to find out what is wrong. He does a cursory exam then writes you a prescription. He then informs you that there is no charge for the office visit, however you will need to fill the Rx at the pharmacy across the hall. No need for a follow up visit! What he didn’t tell you is everybody is given the same Rx, no matter the illness. He further failed to disclose that the pharmacy gives him 8% on every prescription they fill for his patients. Now the pharmacist tells you that the doctor wrote you a prescription for a Generic Rx. The pharmacists lets you know that the name brand might be more effective, yes it is more expensive, but don’t worry its covered by insurance. You may or may not have received the right medicine for your illness, but in whose best interest are the doctor and pharmacists working? Yours or theirs? How can you determine who is an Investment Fiduciary and who is working on commission? If your advisor carries a designation such as Certified Financial Planner (CFP®) and presents himself as an Independent Registered Investment Advisor (RIA) then you have the ‘Real Deal’. An RIA only works on a fee arrangement between his client and his firm. He accepts no outside compensation, gifts or gratuities. Additionally, an RIA is governed by the Securities act of 1940 which puts into law the Fiduciary Standard. A CFP® is governed by the CFP Board of Standards which maintains a high degree of fiduciary responsibilities for its designees. Those standards include Integrity, Objectivity, Competence, Fairness, Confidentiality and Professionalism. Finally, don’t be fooled if an advisor tells you that his advice will cost you nothing. That is just silly. Of course, his advice comes with a cost, only it is built into and hidden in the product he sells you. He just failed to disclose the cost. If the investment underperforms or fails, then it cost you even more. Eugenio Financial is a Registered Investment Advisor (RIA), and Michael Eugenio is a Certified Financial Planner (CFP®). Contact Us to learn about Eugenio Financial services. https://www.eugeniofinancial.com/wp-content/uploads/2017/01/eugenio-logo5.png 0 0 Michael Eugenio CFP https://www.eugeniofinancial.com/wp-content/uploads/2017/01/eugenio-logo5.png Michael Eugenio CFP2017-03-07 04:25:532019-02-21 21:28:01What is Fiduciary Standard for Investment Advice? Trump Impact on Financial Goals? What will be the new President Trump impact on financial goals be for you, your portfolio?After a tumultuous and bitter presidential campaign, for better or worse, Donald Trump has been elected President of the United States. Some of you may be happy, others not so much; indeed you may be anxious because there are so many unknowns. However, regardless of your political affiliation, sentiment or otherwise, there will be some important financial implications. Since the election, the S&P 500 & Dow Jones Industrials Index have shot up to record highs. We are calling it the “Trump Bump” Can this run up be sustained? President Trump wants to reduce the corporate tax rates as well as the Individual Tax Rates. He wants less regulation and big changes to Obama Care. Infrastructure spending is also on his top 10 list. Many will cheer this as good news for the economy and ultimately raise the value of the stock market. Only time will tell. It is important to stay focused on your goals and objectives. Understand your time line for achieving those goals. There are some time horizons such as your retirement that are 20 to 30+ years. Nobody can predict the future. Just ask the Atlanta Falcons! Because the future is unknowable we need to build portfolios that balance rate of return while managing risk. Your portfolio should be allocated across several asset categories. They should be further diversified within each of those categories. This offers both breadth as well as depth. Coach Bill Belichick needed more than Tom Brady to win the Super Bowl. He needed different payers with different skill sets working as a well-trained, cohesive team. Building a portfolio is pretty similar to building a sports team. We insert the players (investments) that will best fit our team. While not perfect, (Tom Brady started out pretty low in the draft) we look at each player’s history and try to predict how he will perform in the Big Leagues. When we build a portfolio we have the luxury of looking at many years of history to help us pick the investments. By doing this we start to understand how it will perform in good times and bad. This gives you a portfolio that has stood the test of time, lived through good Presidents and bad ones. It has weathered good economies and bad ones. It has been knocked down only to recover and go onto new challenges & victories. Nobody knows how the Trump administration will turn out, but a well-crafted portfolio that will be there long after DJT has moved on. https://www.eugeniofinancial.com/wp-content/uploads/2017/01/eugenio-logo5.png 0 0 Michael Eugenio CFP https://www.eugeniofinancial.com/wp-content/uploads/2017/01/eugenio-logo5.png Michael Eugenio CFP2017-02-13 18:33:042019-02-20 01:26:54Trump Impact on Financial Goals?